Do you wish to share your collection of photographs online? SMPhoto Conservation Studio is dedicated to the promotion and dissemination of our photographic heritage. Photographic objects often tell stories, and thanks to their digital reproduction they can be shared, by means of the creation of virtual exhibitions for cultural and educational purposes. We have the necessary expertise to design virtual exhibitions that attract the attention of the general public as well as the specialist, thus enhancing the visibility of your photographs. We deal with the entire architecture of the exhibition and can provide texts of a high academic quality in English, French or Italian. 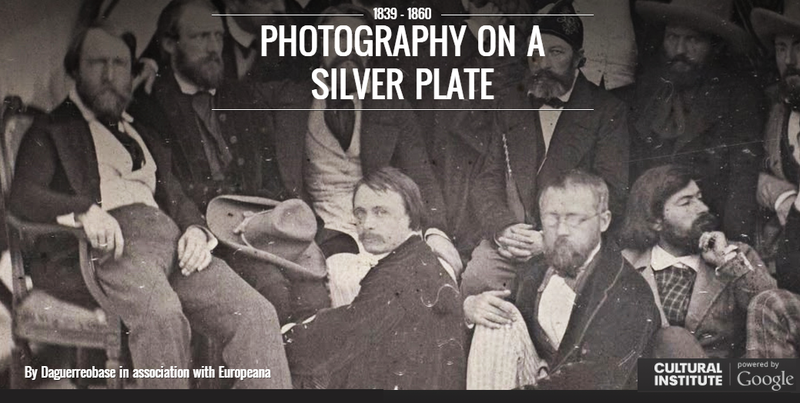 Together with Europeana, Google Cultural Institute, Daguerreobase, SMP realized “Photography On A Silver Plate”, a “Photography On a Silver Plate“, a virtual exhibitionon on the photographic process of the daguerreotype. This exhibition includes a selection of European daguerreotype plates, chosen from those that have been catalogued on the public websites daguerreobase.org and Europeana.eu, where they can be consulted.